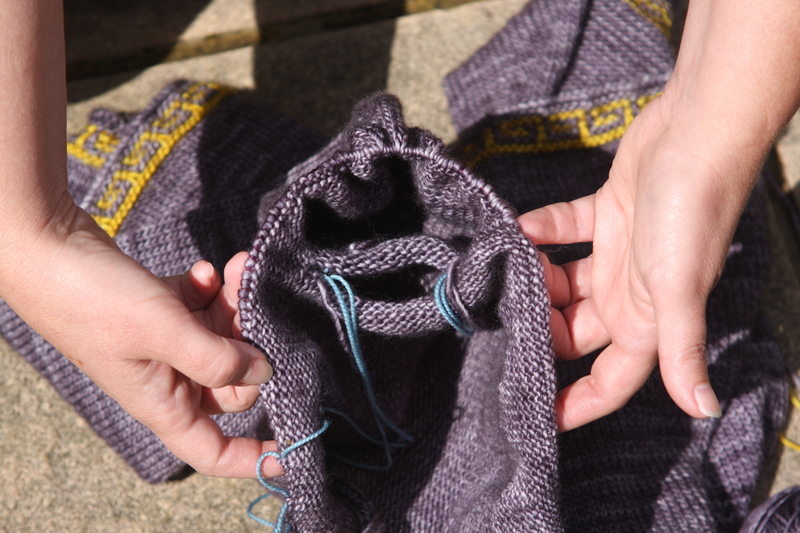 In the beginning, you knit back and forth and back and forth and back and forth. It is fairly boring. After a while, you have….a rectangle! Then you knit around and round and round and round. It is even more boring. And then you have……two tubes! 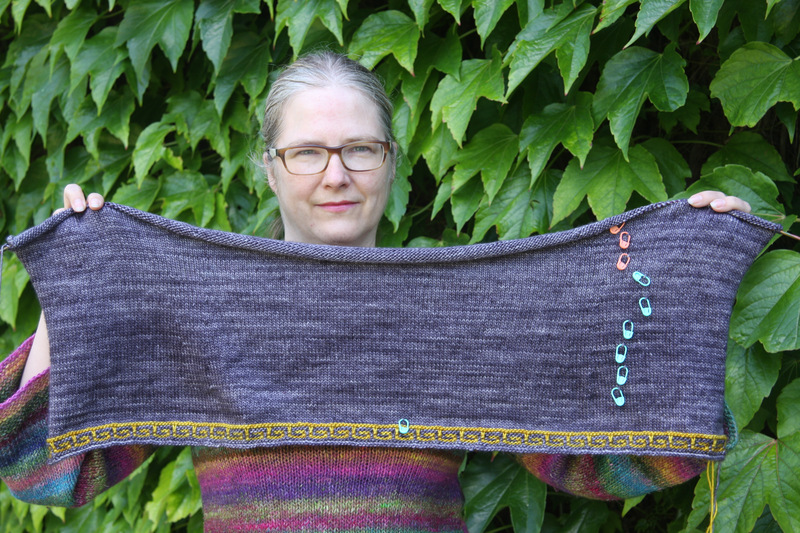 It never fails to make me happy: the magic of knitting! Awesome! I’ve never done a sweater constructed this way, but I’d like to try it. Is there a pattern available? Hi Gretchen, you can find the pattern for this sweater on the Twist Collective website, here: http://www.twistcollective.com/2013/winter/magazinepage_011.php. 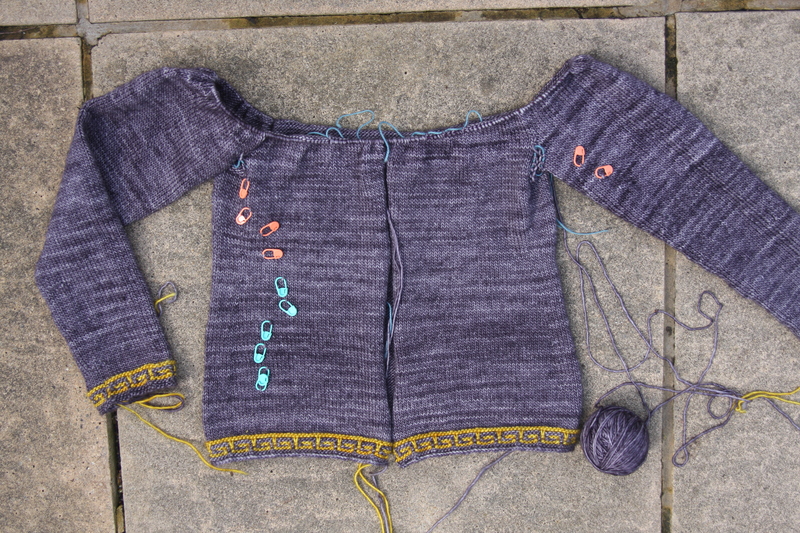 This is a popular sweater construction; I will try to respond in greater detail in a future post. Thanks! I’ll look forward to reading more about it. 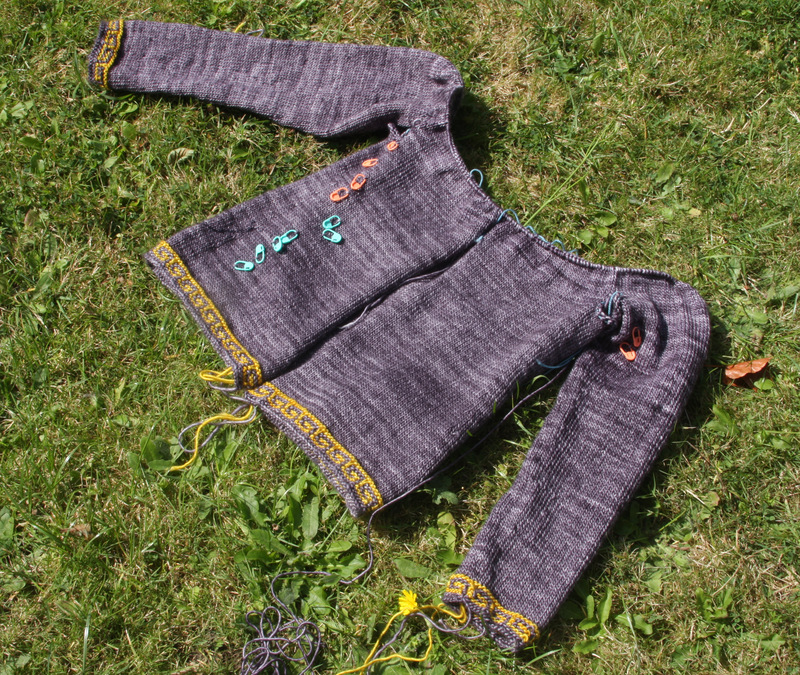 I know what you mean about the brain freeze – I sometimes worry I’ll knit the armhole shut! I’ve actually done this. 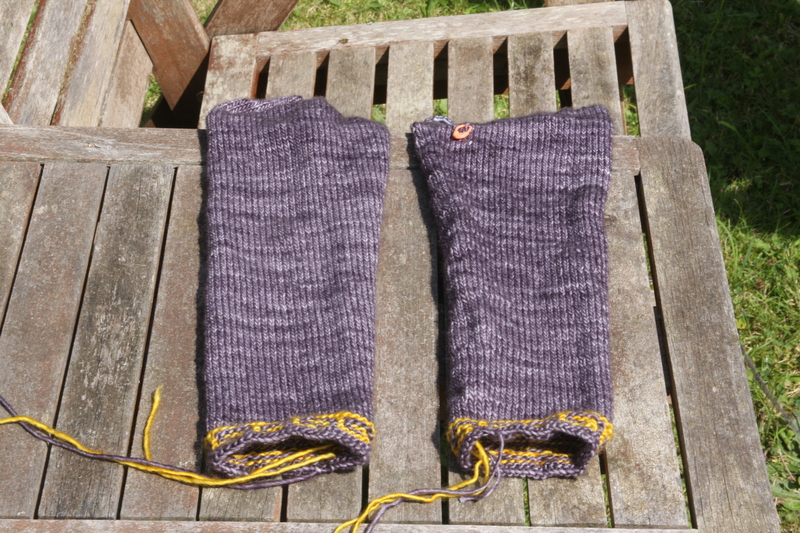 Luckily, knitting is entirely reversible (unlike, say, burning the dinner). I love how this is turning out! It’s beautiful. I’m sure you’re under the gun to finish it. All of my Lopi sweaters are knit with this construction. Brilliant!